An old portacom type building that had been used as a storage facility for many years , needed to be re-furbished and painted ready for conversion to new office facilities. No maintenance had been carried out on this building for many years and there was major water damage to 50% of the floors and walls. Inspection of the work site revealed damage to the particle board floor and chipboard walls, which was caused by the flat polypanel roof ponding water then seeping through to the ceiling. This was further compounded by leaking guttering and broken downpipes. The rotten floor areas needed to be removed and replaced ready for new vinyl. The wall sections needed to be lined with plaster board then a full paint system over all the interior walls. The job was to be completed by installing a new guttering system. This work involved jacking up interior walls in the affected areas, removal of the damaged particle board, repairs to any damaged bearers and replacing affected areas with marine grade plywood. A challenging scenario well met by the Unique team. These was a combination of polypanel and plasterboard and most rooms had varying degrees of damage. Remediation was carried out and the polypanel panelled walls were painted with Aquanamel and the plasterboard was painted with Dulux Wash ‘n Wear. The old bathroom walls were lined with MDF and had to be completely re-lined with plasterboard prior to painting. A close inspection revealed that the exiting guttering had been incorporated into the roof line and it would be nearly impossible to remove and replace it with a new system. 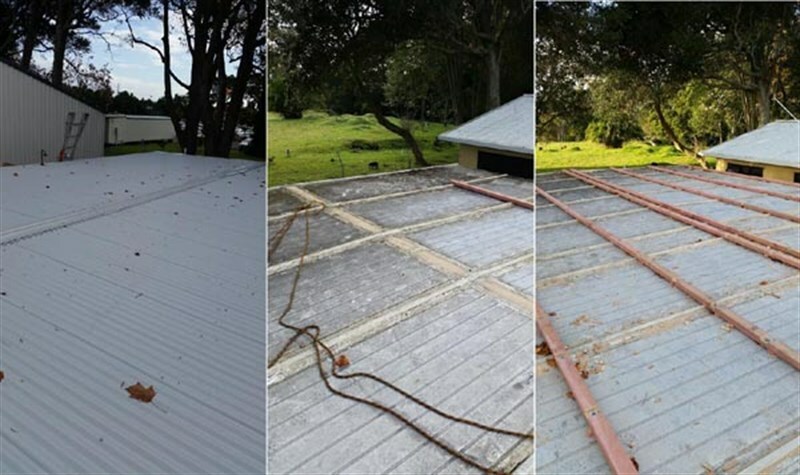 An onsite meeting between Unique’s builder and plumber, with the site engineer, concluded that the only practical solution was to replace the existing roof, improve the fall and the installation of new fascia’s and PVC gutters. The old roofing panels were left in place and new joists installed on top and secured through them. This ensured the new roof was very secure as it was attached to the existing structure. New long run roofing iron was installed with a slight fall and 150mm overhang. This allowed for the fixing of new fascia and guttering. After completion and sign off, the previously condemned structure became a newly refurbished complex with new carpets and vinyl ready for a new life. Another success story for the Unique Services Group and their dedicated team. Contact us here for further information or help with your commercial buildings. PreviousPrevious post:Rapid commercial building repairs save manufacturing plantNextNext post:What is HACCP and how is it related to food safety?